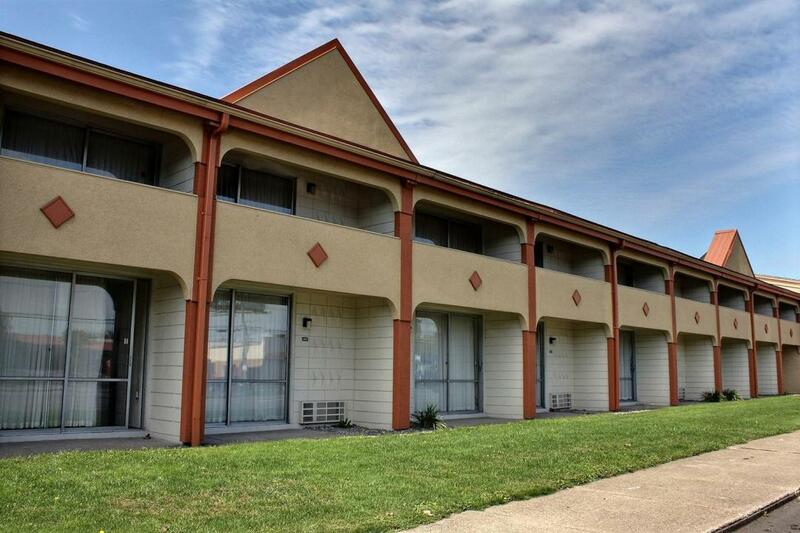 Americas Best Value Inn Niagara Falls offers the most value for your money when staying to see Niagara Falls, business, or just passing through. We offer clean spacious rooms, free continental breakfast, a newsstand in the lobby, free Wi-Fi throughout the hotel and free High Speed Internet Access in all public areas. 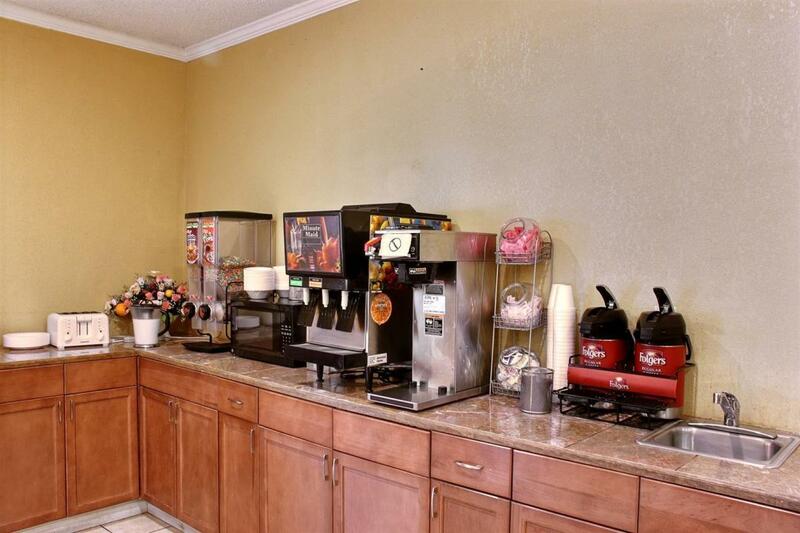 All guest rooms include microwaves, mini-fridges, coffee makers, hairdryers, and cable TV. The hotel offers a free pre-scheduled seasonal shuttle to visit Niagara Falls or nearby casinos. We also have an outdoor pool that is open from May to September. Take advantage of our extremely comfortable beds and relax while saving money year-round with our Kids Stay Free Policy (11 and under in parent's room). For those guests that are in town on longer term corporate assignments or business trips, we also offer special weekly and monthly rates, as well as direct billing options. For your convenience our hotel offers both smoking and non-smoking rooms. Pets are welcome, restrictions and charges apply. We are conveniently located to Niagara Falls State Park, the Aquarium of Niagara, Goat Island, and the Niagara Falls International Airport. We are located off of Interstate 190 at exit 22. 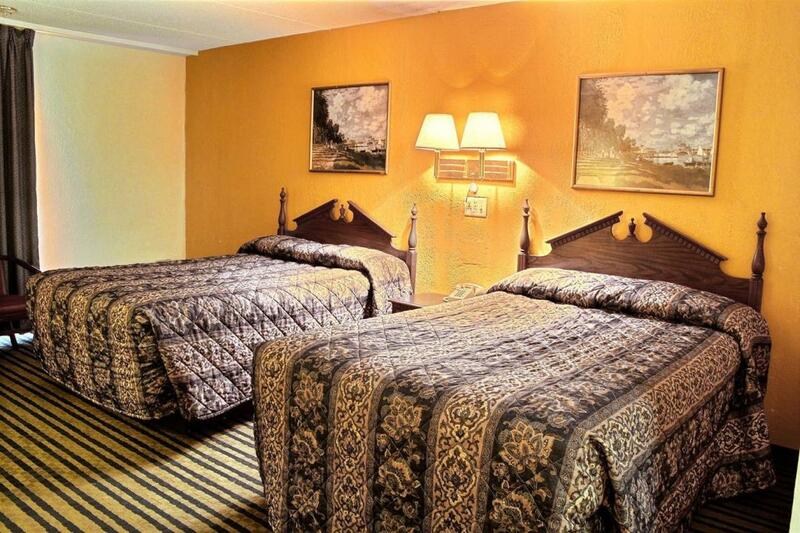 Americas Best Value Inn Niagara Falls is your best choice while visiting the Honeymoon Capital of the World. 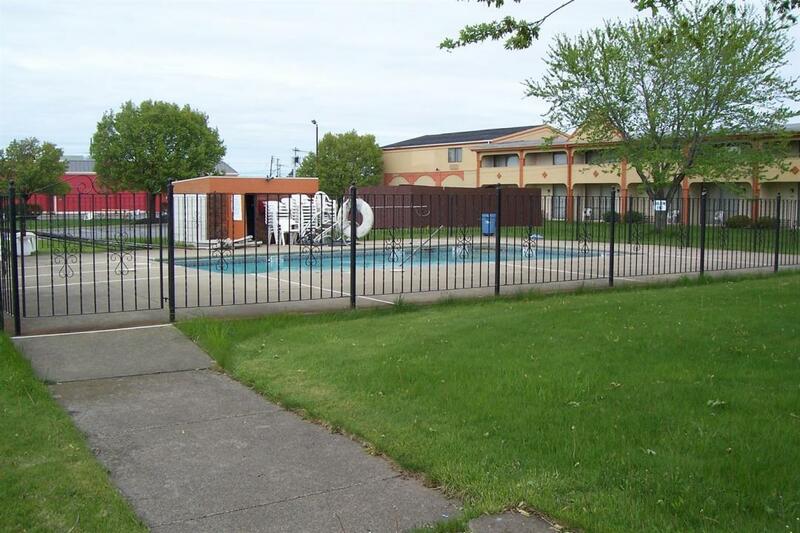 We offer ideal accommodations and location whether you are in town visiting Niagara Falls or simply passing through on your way to Canada or Buffalo. At Americas Best Value Inn Niagara Falls our goal is to provide our guests a great experience, not just a place to stay. Bob Evans Restaurant, 0.03 mi. Honey's Niagara Falls, 0.04 mi. La Galera Mexican Restaurant, 0.07 mi. Buzzy's New York Style Pizza, 0.6 mi. Chili's Grill and Bar, 1.5 mi. Applebee's Neighborhood Bar and Grill, 1.6 mi. Michael's Italian Restaurant, 2.1 mi. Hard Rock Cafe Niagara Falls, 4.2 mi. Regal Cinemas Niagara Falls 12 Movie Theater, 0.4 mi. 70th Street Park, 0.5 mi. Four Seasons Cinemas, 1 mi. Fashion Outlets of Niagara Falls USA, 1.8 mi. Rapids Bowling Center, 2 mi. Hyde Park Municipal Golf Course, 3 mi. Veteran's Memorial Park, 3.8 mi. Grand Island Fun Center, 4.3 mi. Waikiki Watercraft Rentals, 8.8 mi. Niagara Aerospace Museum, 3.2 mi. Seneca Niagara Casino, 3.9 mi. Conference Center Niagara Falls, 4 mi. Aquarium of Niagara, 4.2 mi. Niagara Gorge Discovery Center, 4.3 mi. Niagara Wax Museum, 4.3 mi. Reservoir State Park, 4.3 mi. Martin's Fantasy Island, 4.6 mi. Maid of the Mist Boat Tour, 4.8 mi. De Veaux Woods State Park, 5.4 mi. Niagara Falls State Park, 5.9 mi. Castellani Art Museum, 6.8 mi. Herschell Carrousel Factory Museum, 8.5 mi.